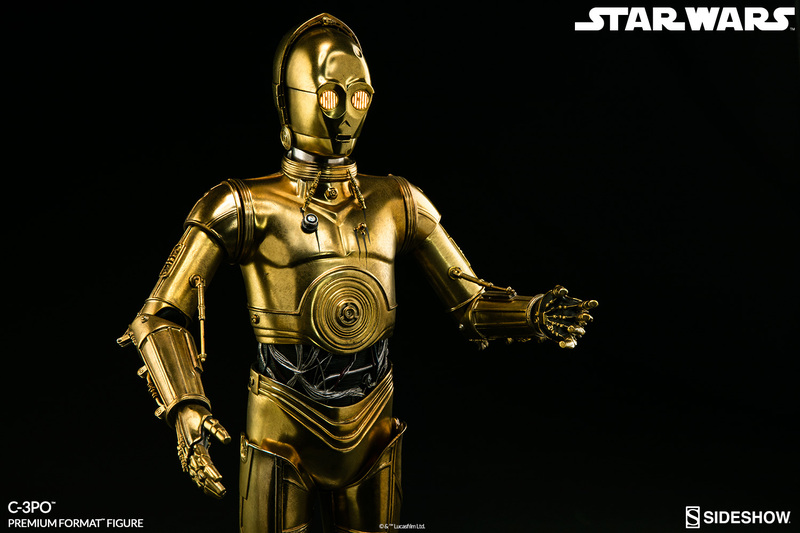 Built with screen-accurate mechanical detailing and light up eyes, this is Threepio’s moment to shine, with a fantastic weathered metallic gold and silver finish. Calculating the odds of a successful mission, the always proper, yet overly anxious, protocol droid gestures in concern to his unseen Rebel companions aboard a Millennium Falcon inspired base. 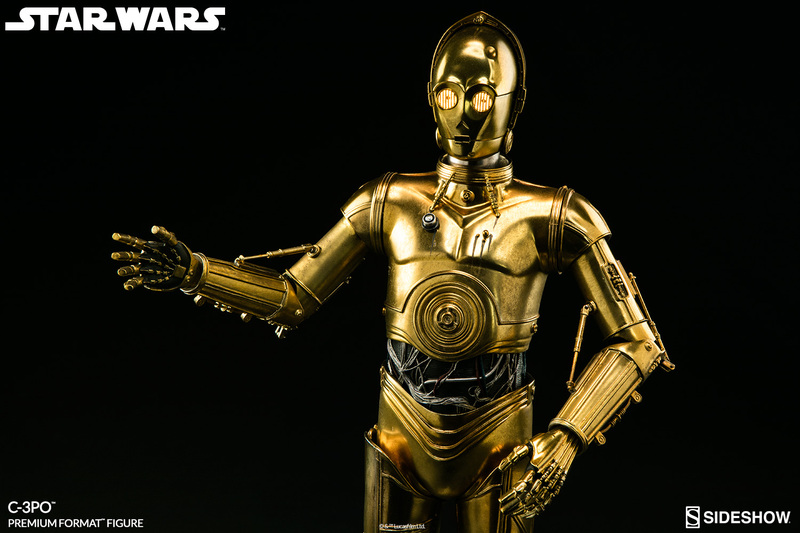 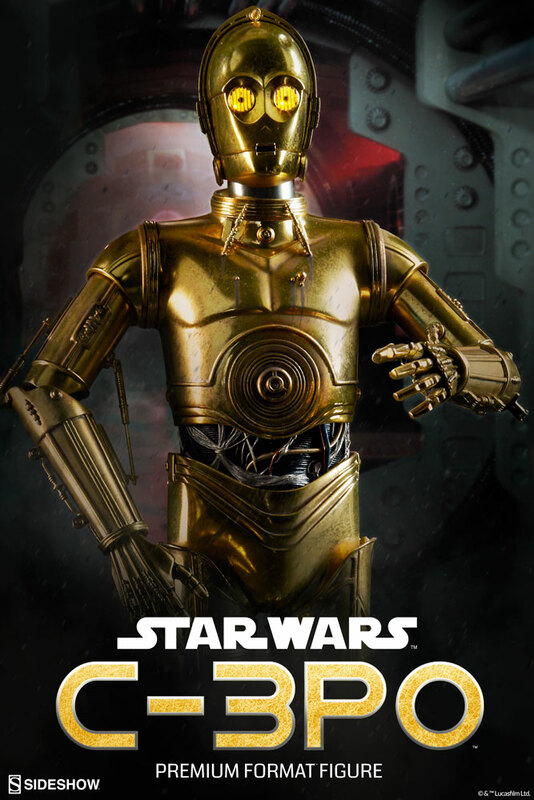 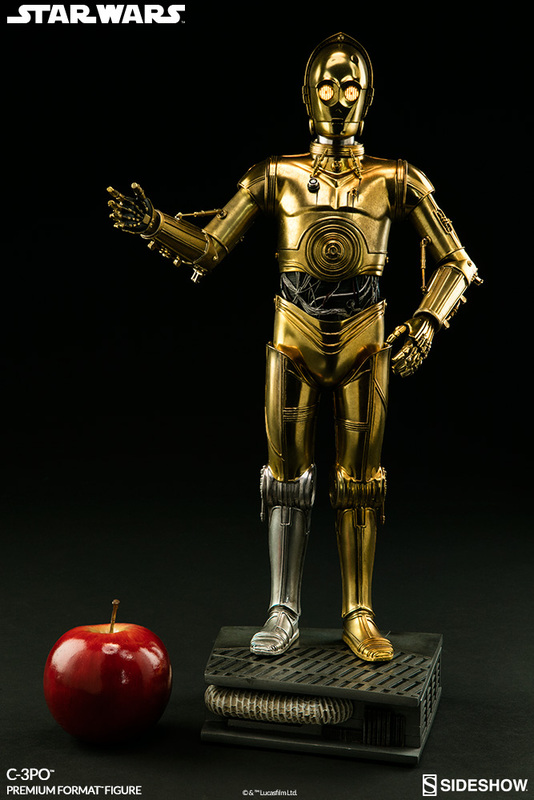 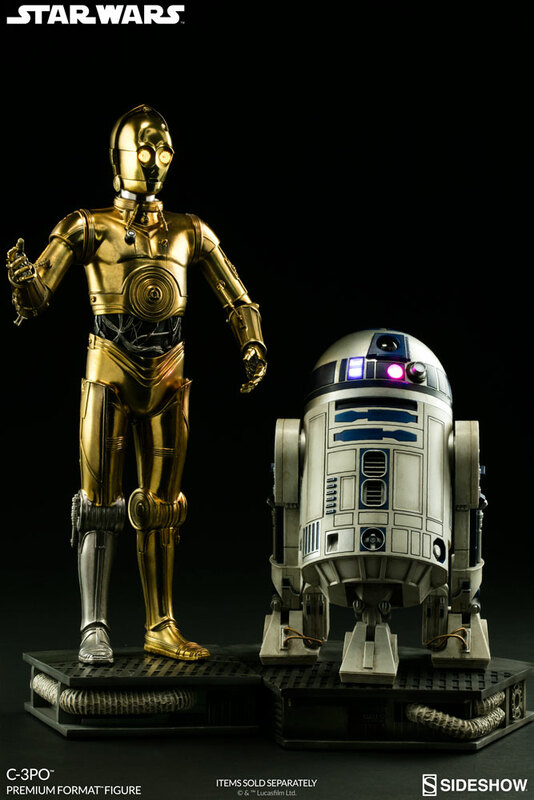 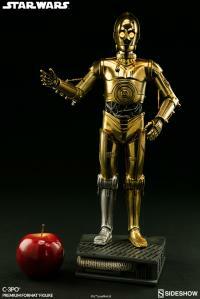 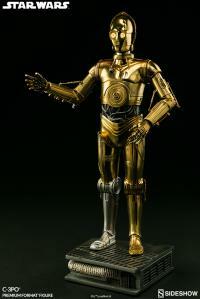 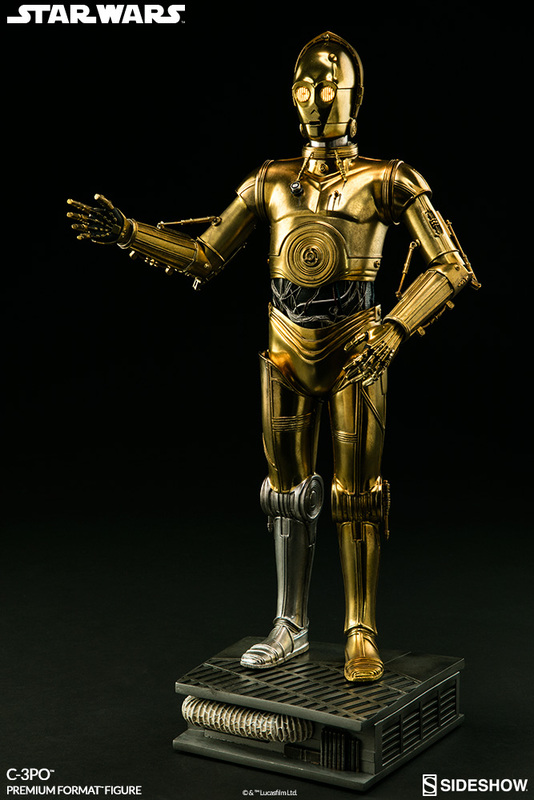 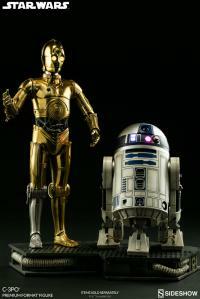 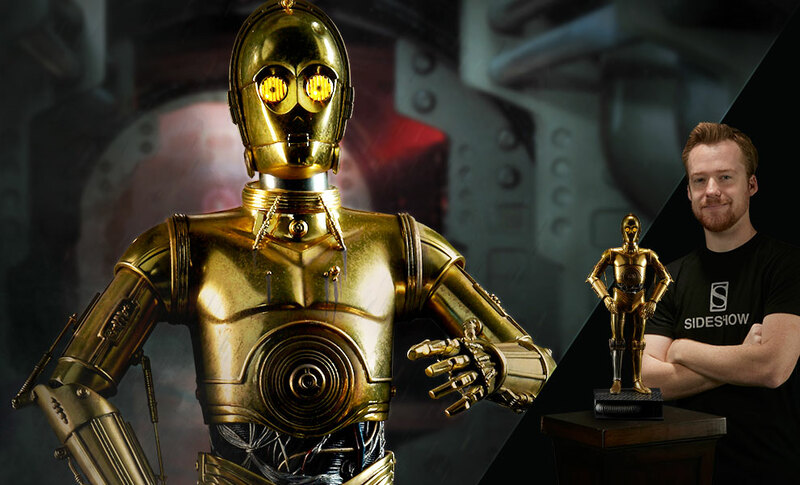 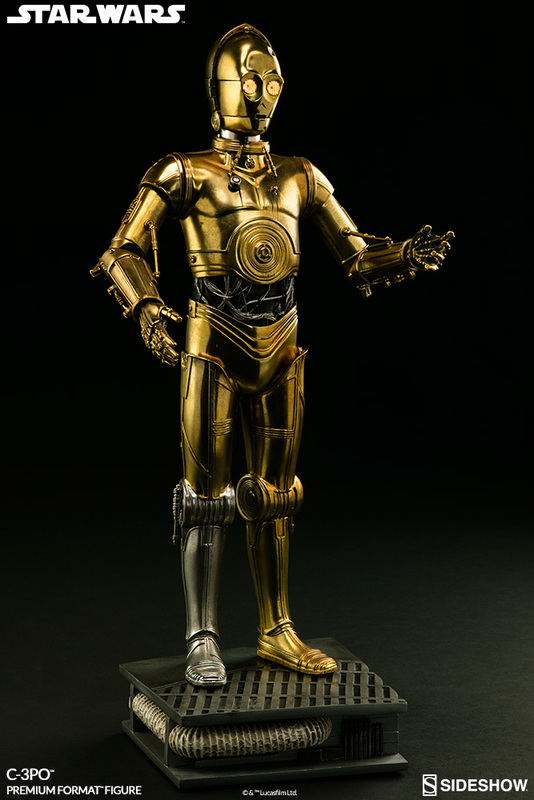 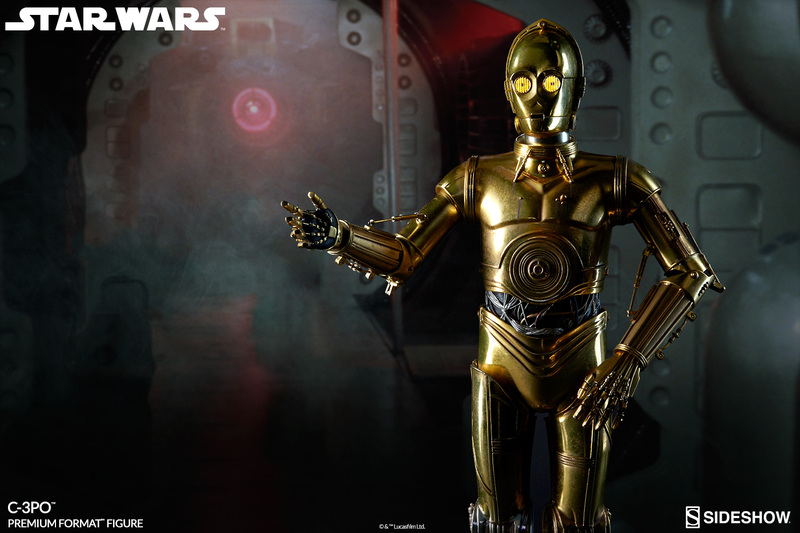 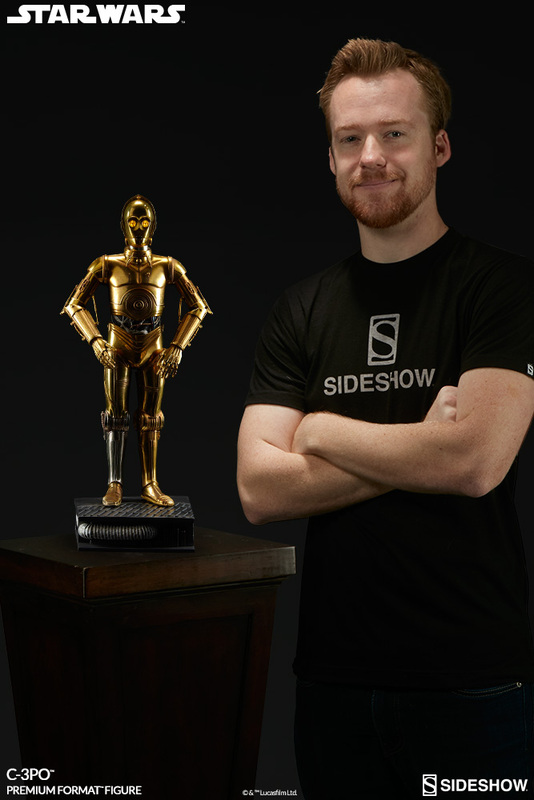 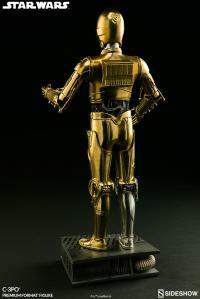 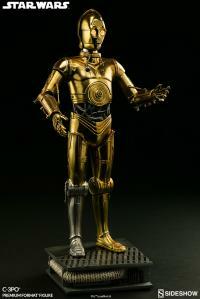 An essential addition to any Star Wars collection, C-3PO is the droid you’ve been looking for. 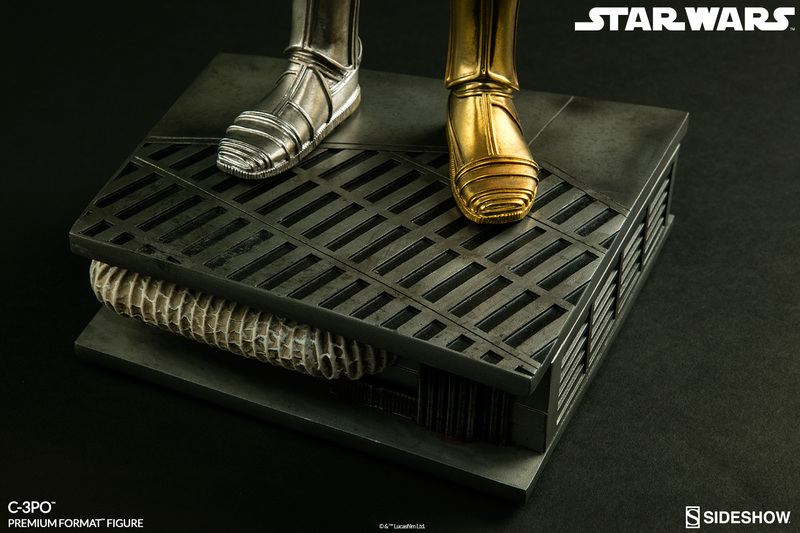 Composed of high-quality PVC and polystone.